CRFF (General RF Fitting) "TM" female jack tee. 0.309" outside diameter. Edinburgh tri-lug bulkhead female - female connector. 0.285"D body. Fits 0.440"D hole. Looks like "MB" with 3 lugs. O-ring seal. NSN: 5935-00-590-3865. Sealectro 4 post PC cable termination. Clamp. For RG-178, 196. Sealectro coaxial PC termination. 4 GHz. For RG-178, 0196. Radiall surface mount RF connector. Male pin. LD TR100. SMPCOM. Radiall "SSLB" PC mount connector. 12.4 GHz. Gold. Male pin. Solder ST thru-hole. 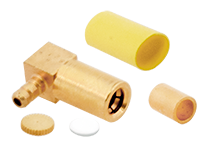 Sealectro "SSMB" plug. Female center pin. Crimp. 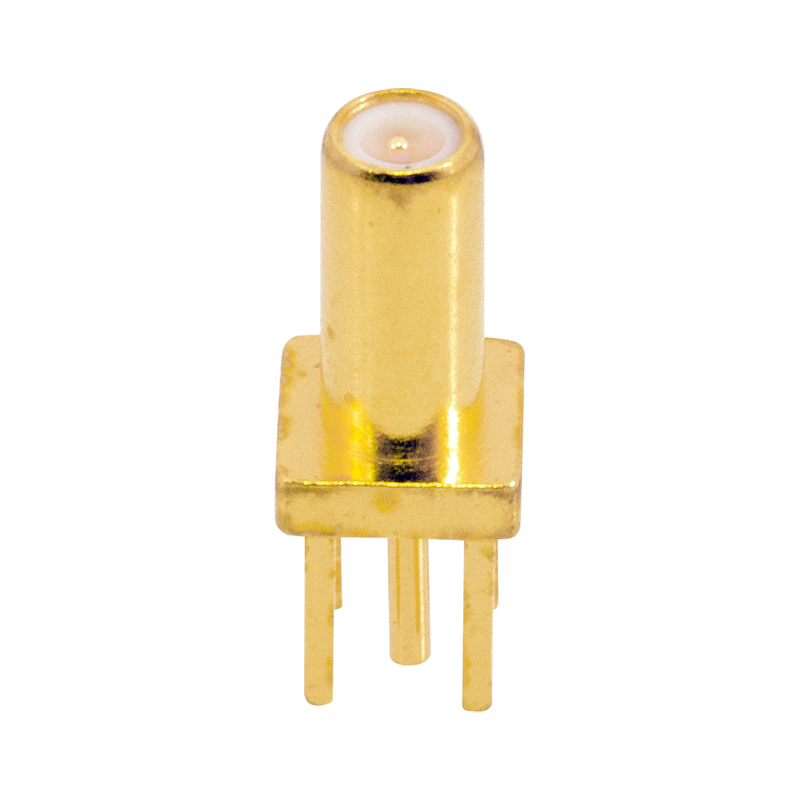 Fits RG-188, 316. 50 ohm. AEP "SSMB" PC mount jack. Alt. P/N: A3012760-4W. NSN: 5935-01-337-6078. 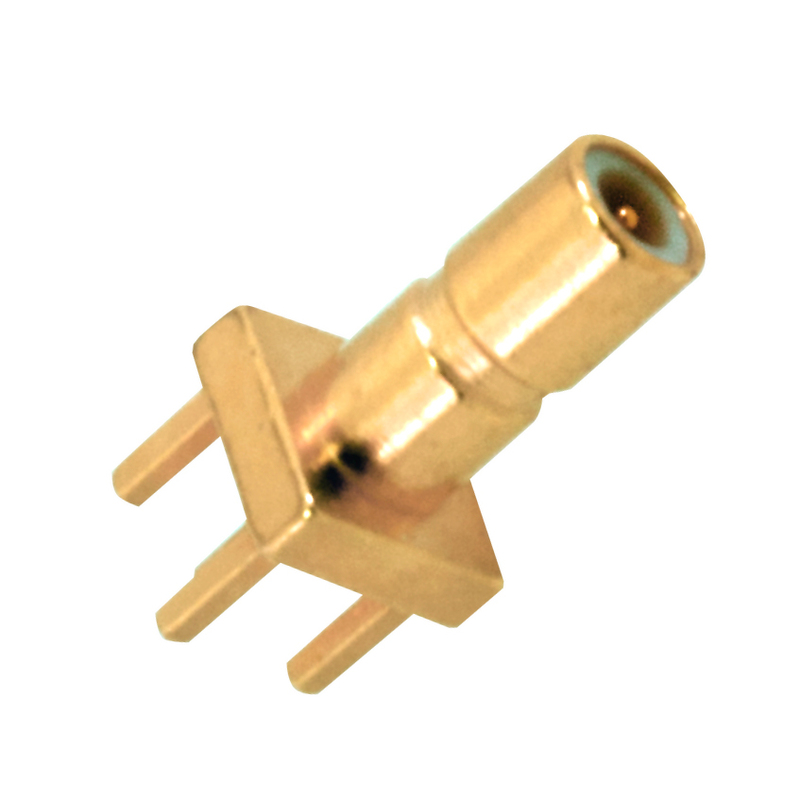 AEP "SSMB" right angle female plug. Crimp. Fits RG-178, RG-196. 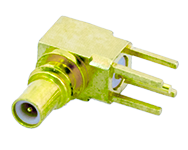 AEP "SSMB" crimp, straight plug for RG-178. AEP "SSMC" male right angle jack. PC mount. Male center pin. AEP female straight plug. 0 Hz to 2 GHz. 75 ohm. Crimp. RG-180, 195. Gold. AEP "SSMC" female plug. Crimp. 2.6/50S. RG-174, RG-179, RG-316. Kings K-grip adapter. Crimp, silver. Fits RG-58/U. ITT Cannon connector. 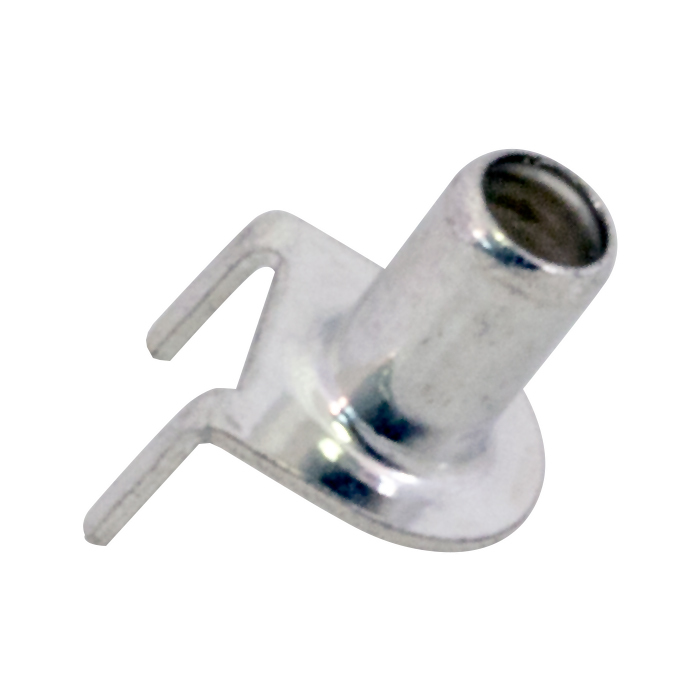 Panel mount plug. National Radio antenna connector. (CNA) 49491. A "UHF" male of sorts. Center pin is a banana plug. 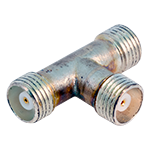 We found by filing the threads down on the first 1/2" of a "UHF" bulkhead connector, its the perfect mate. It threads in secure. Box has black wrinkle finish. 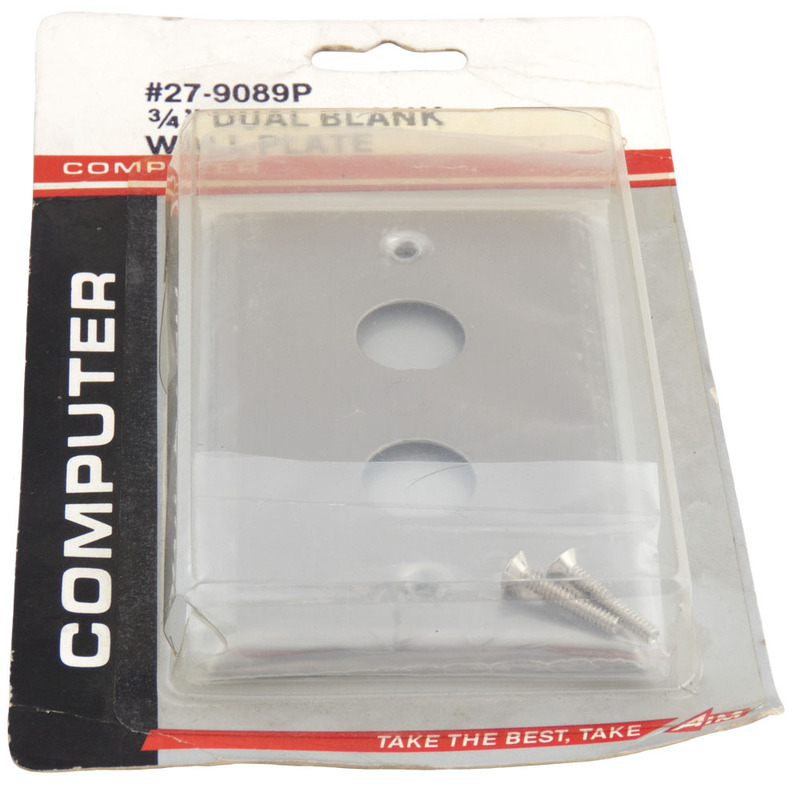 Spec sheet states this adapter box fits a CNA 46161 navy receiver. Circa 1944. 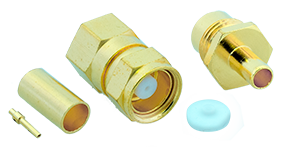 2-1/4" x 3" x 1-3/8"H. Overall depth of connector is 1-1/8". Amp circuit board component lead or RF coax center conductor. Quick connect socket. 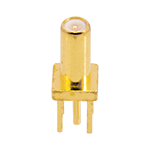 Add a QC wire socket to any circuit board. Has 32 internal contacts to grip wire tight. Commonly found on Collins RF boards. Gold. Accepts 19-20 AWG wire. 0.24" deep, 0.069" O.D. NSN: 5999-01-094-9449. 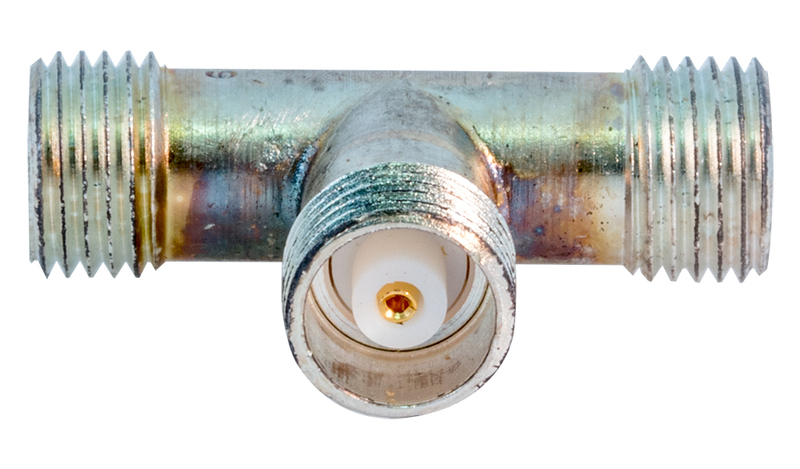 ITT shell assembly coax contact. DPD-1. Cannon. Gold. Orion Research receptacle connector. 3.25" long. 0.32" inside diameter. 1.85" deep to spring terminal on bottom of well. NSN: 5935-01-115-6601. Stainless steel switch plate. Dual Twinax. Fits standard 2x4 box. 0.70"D holes. 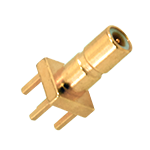 ITT Cannon female connector. 2.979" long x 0.441" outside diameter. Alt P/N: 22734. Hughes backshell connector. NSN: 5340-01-142-1171. 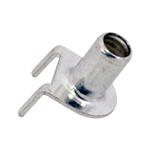 Amphenol sub-minax bulkhead receptacle. Gold. 75 ohm. Amphenol shield hood. Silver plated. Fits RG8 / 213 etc. 23/32" centers. Removed from equipment, but amazingly clean. HB 1950s female bulkhead RF connector with shield hood. 3/8" outside diameter. 4 mounting holes @ 1/2" centers. Manufactured by HB. Omni-Spectra "QMA" - "OSP" plug. RG-405/U semi-rigid. Ted Mfg. bulkhead feedthru jack. Requires 1/2" hole. Gold plated. Tri-lug. 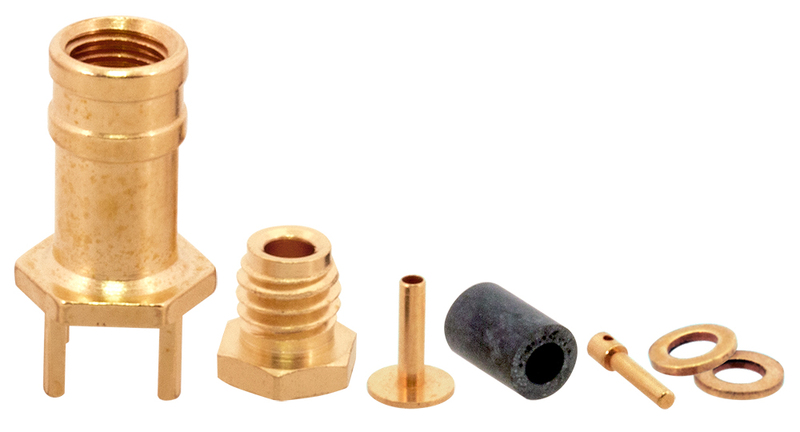 Straight plug, all gold plated, RG-58. 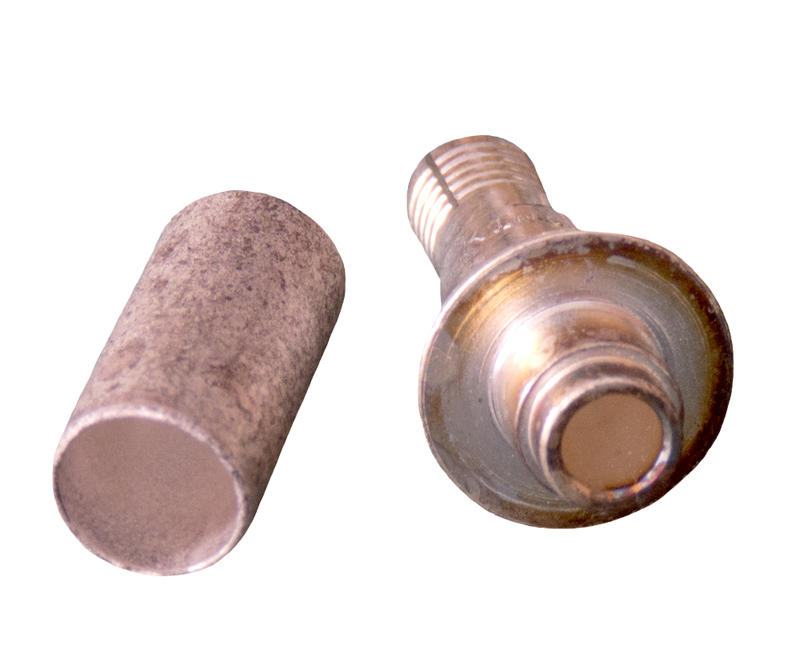 Allied / Amphenol bulkhead jack connector receptacle. 75 ohm. Sub-minax. NSN: 5935-00-054-6641. 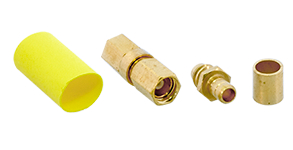 Matrix female coax contact. NSN: 5999-01-058-1428. Cannon ITT male electrical contact. Shell assembly coax receptacle. 0.205" I.D. Fits RG-62. Alt. P/Ns: 249-1961-000, DPXME-RG62/U-A152. NSN: 5999-00-581-6520. RF receptacle terminal with gold test port turret. 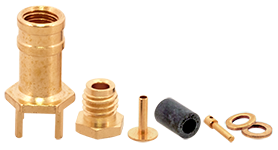 Gold plated socket 0.034" diameter. 0.300"H, 0.099"L turret, 0.142"L x 0.091"D body. RF receptacle terminal. Gold insert for PC board. Accept coax cable center conductor. 0.260"H x 0.059"D. 0.035" inside diameter. Cannon coaxial shell assembly. DPXMA-RG-142/U, size 9, type MS3177. Crimp style. All gold plated. 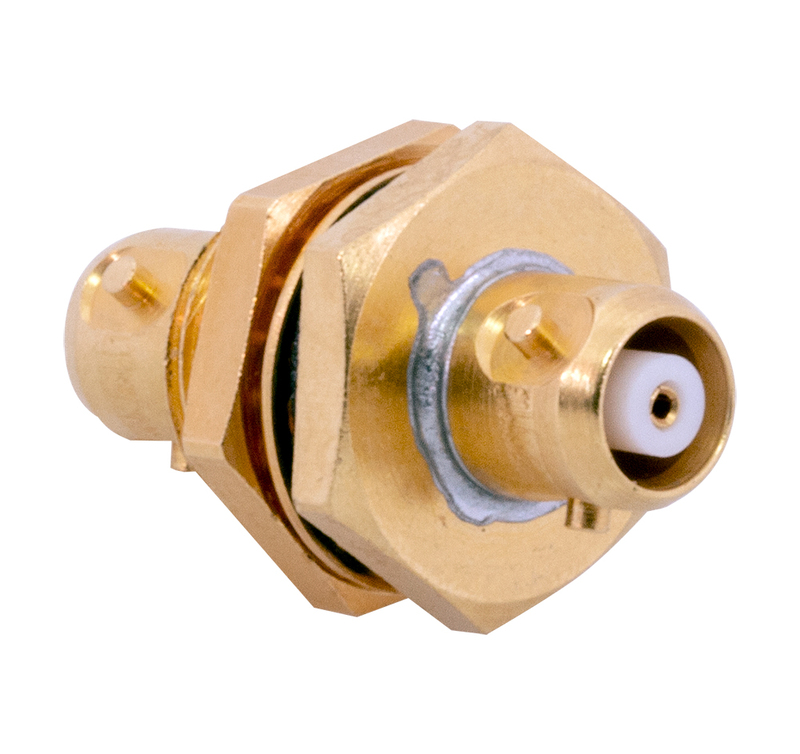 Amphenol coaxial male plug. Crimp style. All gold plated. 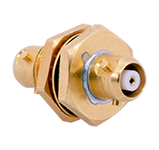 Amphenol bulkhead receptacle, gold plated. 75 ohm. 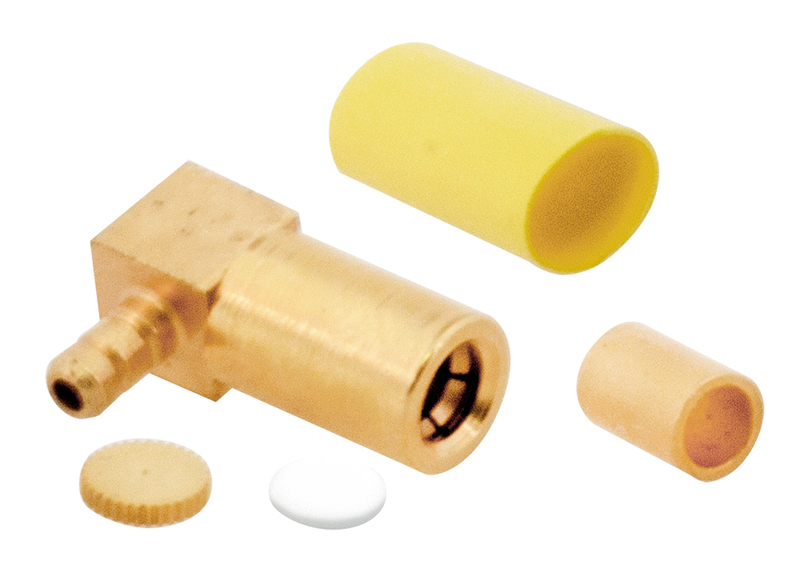 Sealectro RG-174 crimp cable termination for printed circuit board. 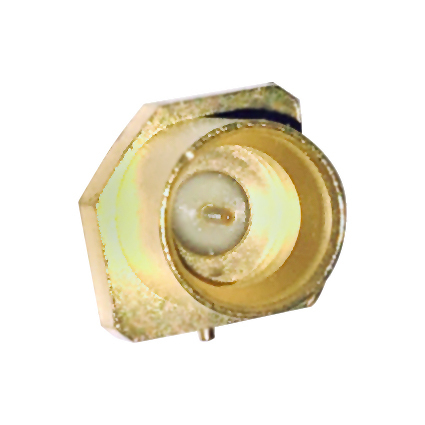 Turret terminal can be soldered on or used as a switch contact. 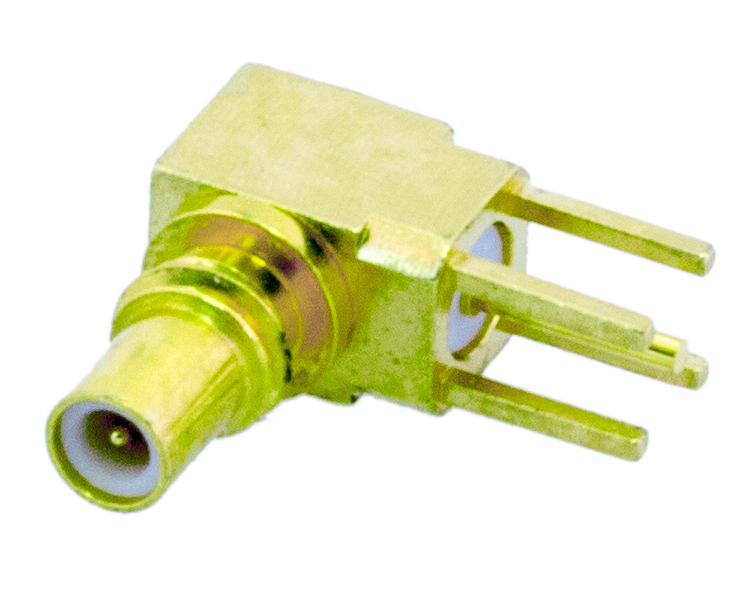 RF connector, right angle. Silver plated. Waterproof o-ring. O.D. of output lef is 0.375". RG-8. 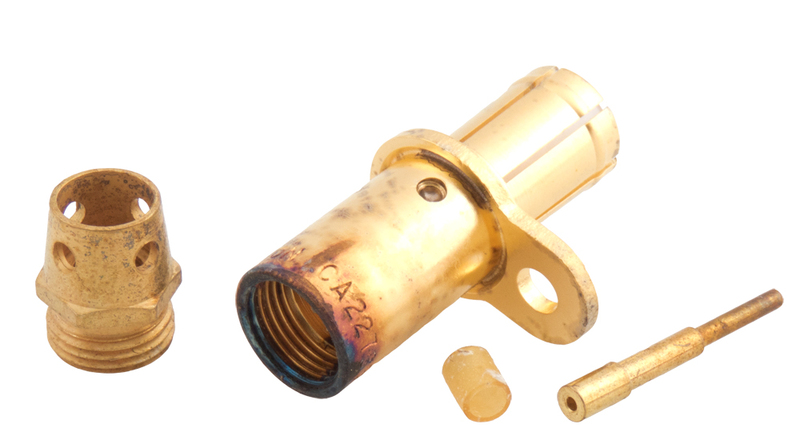 Tyco-Amp male connector jack. 50 ohm. DIN 1.0 / 2.3. 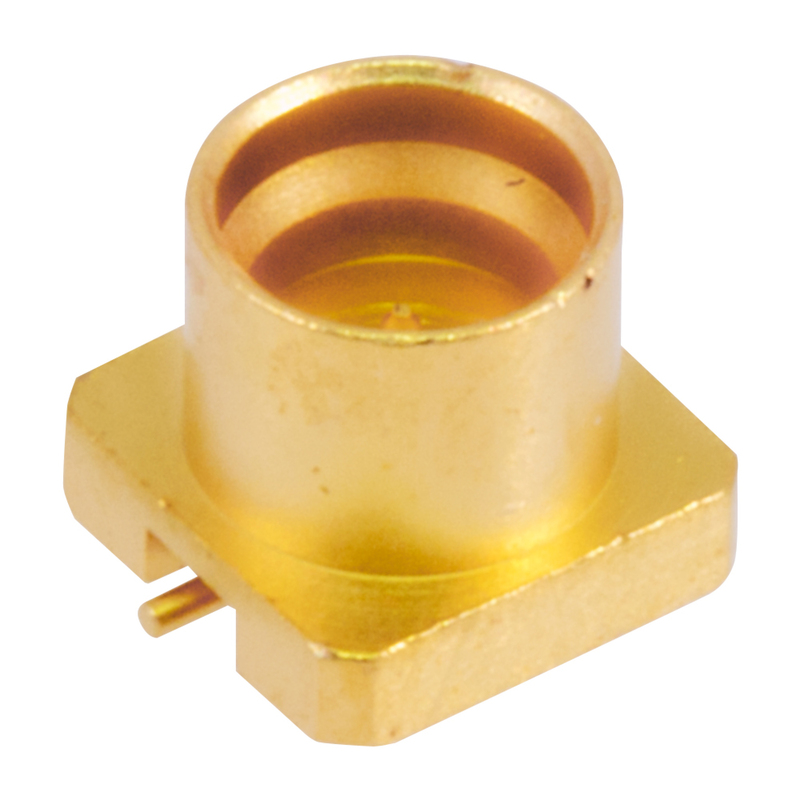 Right angle, PCB mount, gold plated. Double female connector. Silver plated. 1.95"L x 0.409"D. Inner conductor 0.120" inside diameter. Made by LaPointe for Collins radio. NSN: 5935-00-258-7234. T&B / Ansley jackscrew assembly. Ted connector, bulkhead. 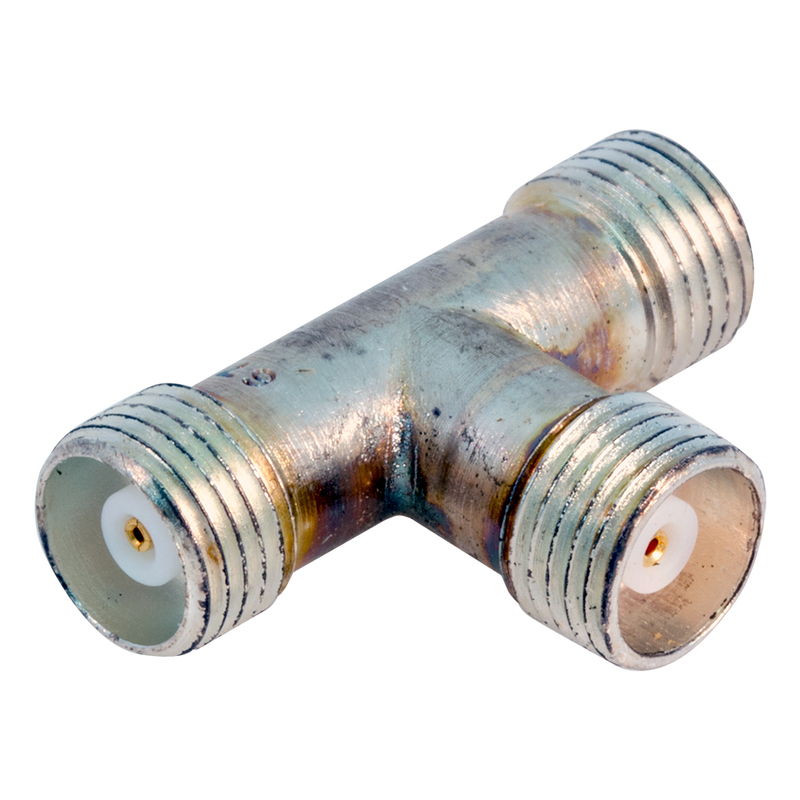 Female, bi-lug connector. Fits RG-316 coax. 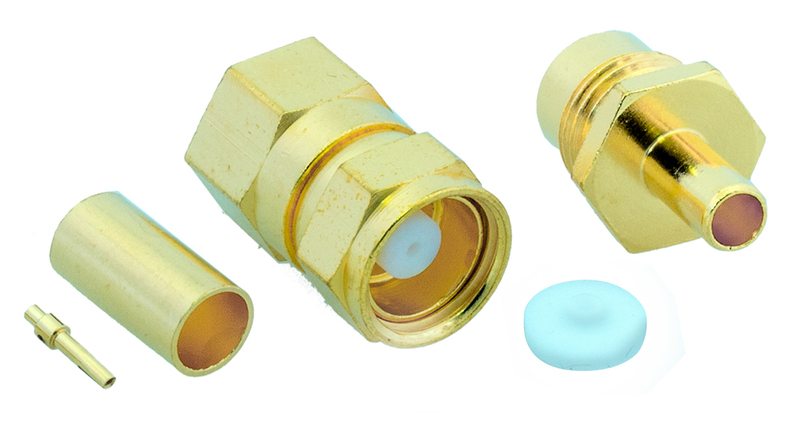 Male connector, gold plated. TRW cinch. Locking method bayonet latch. Body style 5D straight shape, internal coupling. Polarized method keyway or mutliple keyway. 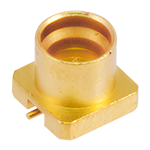 Terminal type solder well single mating end single contact grouping. Overall length - .965". Overall diameter - .445". Cable entrance diameter - .074".